The Shakespeare Centre for Scouting is a new facility built to replace the original facilities lost in the January 2003 bushfires. 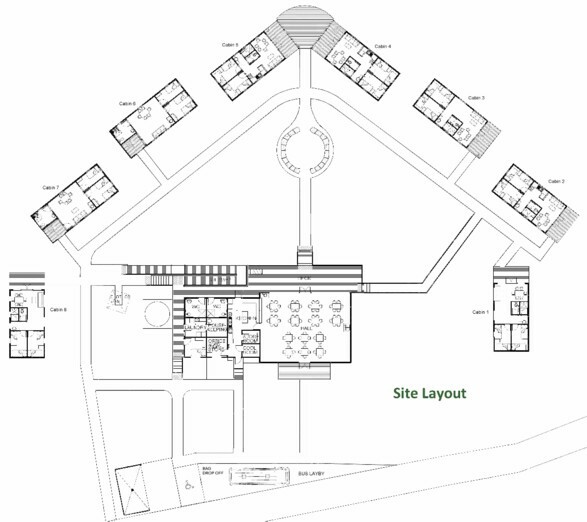 The new Centre has been designed to complement the natural bush setting at Camp Cottermouth. 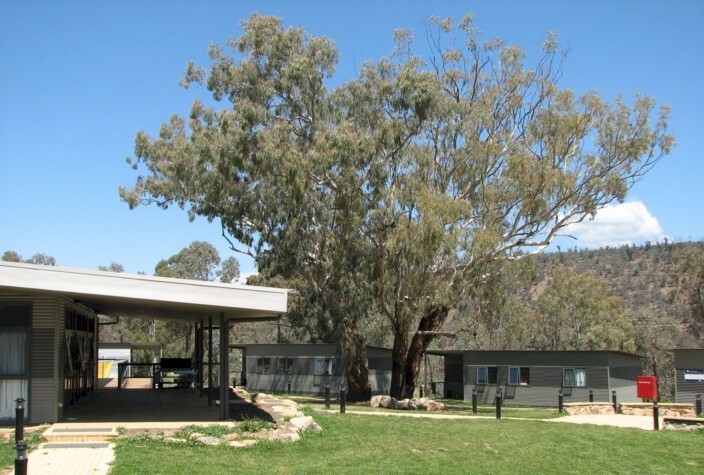 Located just 20 km west of Canberra, the Centre is close to ACT tourist and educational sites. It has a number of environmentally friendly features, such as the use of rain water for toilet flushing and fire fighting, and an all natural worm based sewerage system. Although specifically designed for youth accommodation, it is also suitable for adult groups, informal conferences, wedding groups and family gatherings. The facility is available for hire on a self cater or fully catered basis. Unless cabins are booked separately all meals are eaten in the dining hall which has full cooking facilities. The normal maximum accommodation is 96 persons, but special arrangements can be made to accommodate slightly larger groups at a negotiated cost. FOR FURTHER INFORMATION ON THE FACILITIES AND HOW TO BOOK, PLEASE VISIT THE BOOKINGS PAGE.